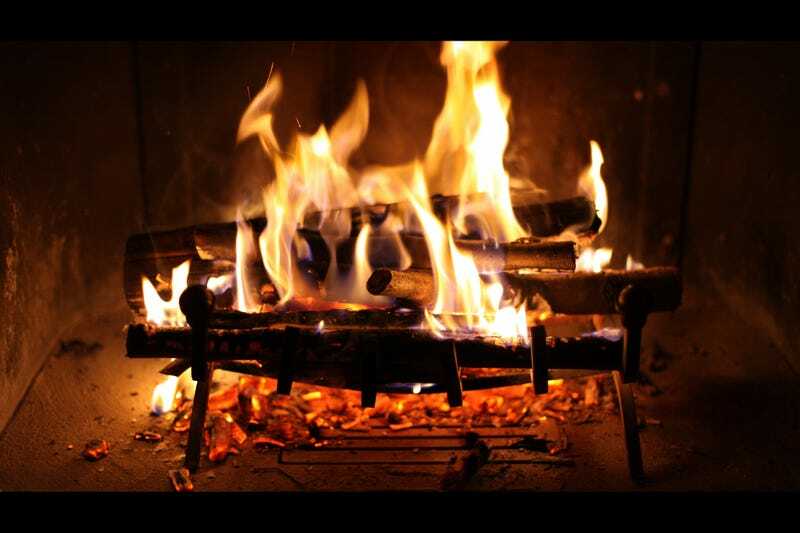 Whether it's a fireplace or a glowing candle, there's nothing like a little pyromania to cut through the winter blues. So for this week's Shooting Challenge, photograph flames. Take a photo that features a flame. It can be an extreme close up, or it can be a tiny part of the image. Just capture a flame somewhere. No matter what style of fire you choose to photograph, you'll probably default to the same technique. It's not hard! Start with the right shutter speed to freeze the flame appropriately. This useful tutorial recommends you start at 1/250sec and tweak from there (if you're feeling lazy, set your camera to "shutter priority mode" when you do this, and it should compensate the rest of the exposure settings accordingly). Our lead image, by Matteo Paciotti, captures a very cozy fireplace. Note that the flame is a bit blurry—that's because the shutter speed was set to 1/60 of a second. There's nothing wrong with this choice, of course! But it's definitely a different effect. The idea is that you should be able to capture your vision, whatever it is, intentionally. Send your best photo by Monday, February 23rd at 10 AM Eastern to contests@gizmodo.com with "Flame" in the subject line. Save your files as JPGs, and use a FirstnameLastnameFlame.jpg (970px wide) and FirstnameLastnameFlameWallpaper.jpg (2560px wide) naming conventions.